I feel like in deciding to review Planetarian I may have bit off more than I can chew. Planetarian came out back in 2004 and received a fan translation in 2005. It only recently received a licensed translation because some increased interest in Japanese Visual Novel games has made them somewhat profitable in America. Most people who are interested in this kind of thing probably have played the fansub and they might buy the product, either from a sense of responsibility for a desire to encourage future localizations. People who are interested in this kind of thing and haven’t played the fansub probably will buy it. I personally would like to convince those who are not at all interested in this kind of thing to buy it and give it a try. This is probably a fool’s errand since most people not interested are often violently opposed to this sort of thing. Though writing a review with anyone else in mind is a waste of time. If you have an interest in Visual Novel then I’d say definitely give this a try as it’s very enjoyable and represents a pretty high level of craft and story telling without being a 300+ hour affair with Manzai, hidden routes, and various dead ends. It’s short, it’s sweet and it’s very good. For the rest of you, well let’s start by explaining exactly what this thing is. First of all, Planetarian is not a game. Now I don’t mean this in the sense that it has simplified gameplay or is lacking an end state. I mean it literally. 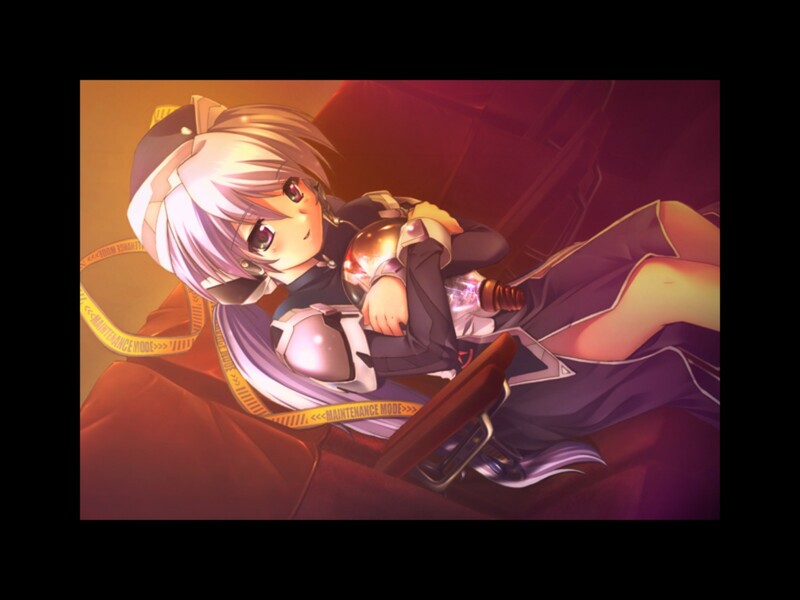 Planetarian is Visual Novel without any choices, termed ‘Kinetic Novel’ by its publisher. It’s a straight linear story. Now I guess you could probably apply the nonsense arguments like those used for Gone Home or Mountain, yeah it sure subverts game conventions, heck some might even say you’re playing with your emotions. If someone wants to get into some huff about how this is totally a valid game then they can until they’re blue in the face. Go argue with me about it in the forums if you want. I don’t think there’s any real issue with it not being a game. Many Visual Novels only feature interactivity as a means of choosing heroines, so the absence of that interactivity isn’t such a huge deal in my eyes. That may be a little too much introduction, but it’s a necessary disclaimer. 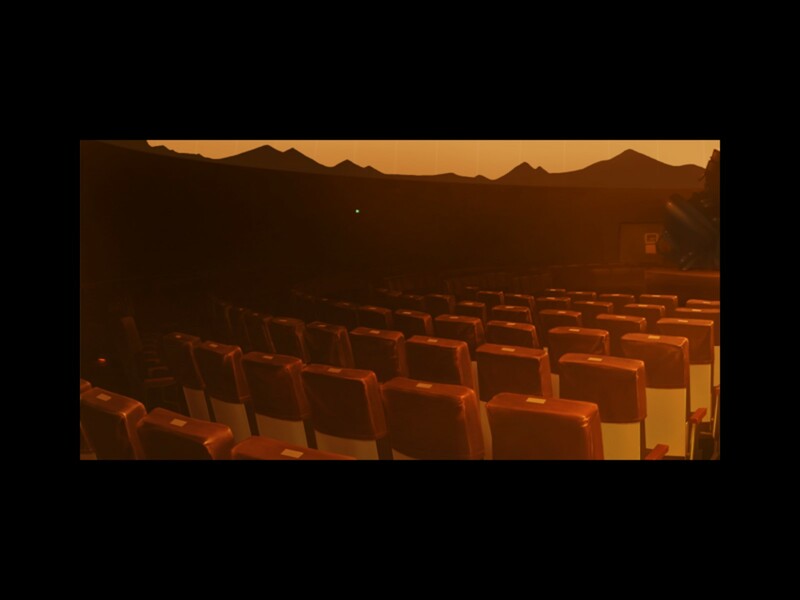 You’re getting a story which utilizes limited computer graphics, voice work, and music to mainly elicit an emotional reaction from the reader/player. These stories deserve a little of your attention as they come on to Steam. They represent earnest efforts of a lot of people and typically the ones you’re going to see localized are some of the best ones released. Though certainly you’re gonna see plenty that exist only as softcore fetish crap before soon, so keep your eyes peeled. So I guess I’ll finish up this little introduction with that. Planetarian has an immediate and obvious advantage over most Visual Novels. 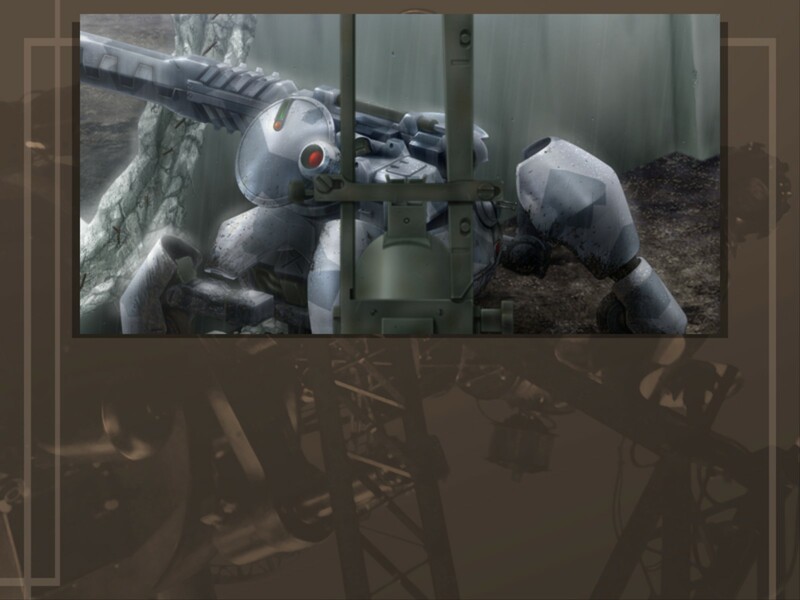 Rather than being based in a potentially gay setting like a Japanese Highschool, it’s set somewhere you’re more comfortable with; a grey-brown post-apocalyptic wasteland. The story is detailed and easily immerses you in the world. Certain small touches like an explanation of why a character has to wear something really aids in the world building. It’s actually kind of amazing that there’s more world building in this simple virtual picture book than you have in the majority of AAA releases. It’s not necessarily an amazingly crafted world, but I easily would rather replay this the dozen times times needed to make up Bioshock Infinite’s playtime than finish Bioshock Infinite. Humanity is on the verge of extinction and must scrape by just to survive, all the while hunted by old automated war machines. After destroying itself with a variety of weaponry mankind is now assaulted by torrential poisonous downpours. Our nameless protagonist is a junker(the game’s term for picker) who is currently looking for things of value in a long-dead metropolitan area. While doing that he meets a robot, named Hoshino Yumemi, who works in a Planetarium. 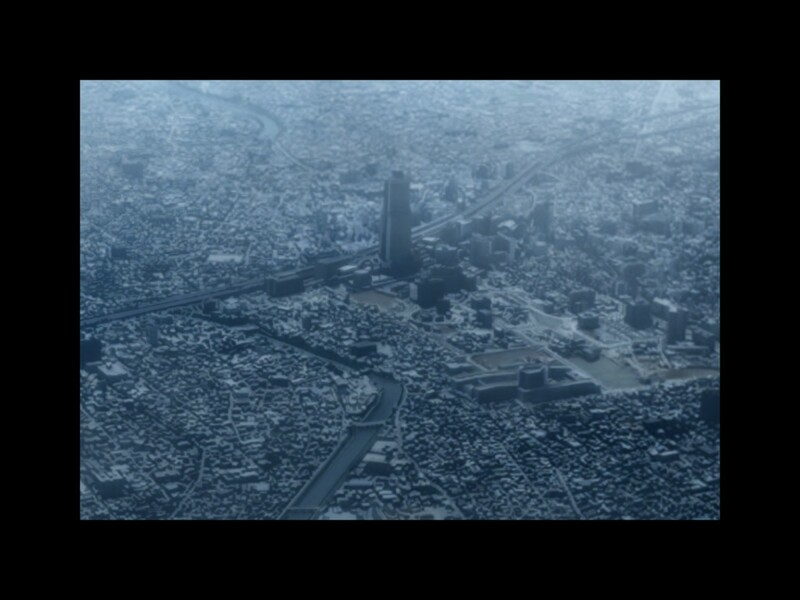 She has operated in this dead city for 30 years unaware that the world has ended. After speaking with the robot about the Planetarium he finds himself attempting to repair the projector of the Planetarium. The protagonist’s world weariness is contrasted with Yumemi’s upbeat and aloof demeanor and we’re treated to a sort of sad before and after of the apocalypse for a chunk of the story, as the character works to repair a projector for the chance to see a starry sky that has been blotted out by torrential rain for his entire life. It’s a touching story that really does aim for an emotional response, you might call it sentimental but I don’t think that’s so bad. It does a good job not only getting you sympathetic for both characters, but also Yumemi comes across as irritating to the player as the protagonist but still grows on you over time. It achieves a good sense of a person becoming nostalgic for a world he never has and never will know. Hey it’s got iron sights, so it’s gotta be pretty good, right? The game is fully voiced in Japanese and features pretty good audio work altogether. The art is very good as well. Certainly many of the visuals do consist of an anime girl with a dialog box below her but when it does move away from that, things are animated and displayed very well. It’s a little hard to go over the technical merits of a Visual Novel but this one certainly is top notch in that regard. My only complaint is that it might be priced a little high for what it is. The price certainly makes sense in the context of there being an existing fanbase which will likely buy this out of solidarity. Though I feel like 5 bucks would have been a much better price point, but maybe everyone is pricing with the eventually 50% discounts in mind. I honestly have trouble understanding the perpetual state of discount we’re in with gaming now. It’s worth buying and playing, I’d say it’s at least as good as The Walking Dead games, which I’m sure isn’t something many may agree with. Though I’d like to encourage anyone who is curious about Visual Novels at least take a plunge on this one. As always I’m available to have bile launched at me in the forums at on Twitter. If you’re thinking of dropping cash on Hatoful Boyfriend for some chuckles you could probably do a lot better picking this up. Even if I haven’t convinced you very well, I’d say maybe wait for this to go on sale and give it a try. It really does represent a significant effort and if nothing else features nice visual and audio work with an enjoyable story.